The accusations center on the Indonesian response to the massacre of at least 19 people in the remote highlands Nduga District earlier this month. The West Papuan Liberation Army claimed responsibility, saying that the men were Indonesian troops disguised as construction workers. Afterwards, Indonesian soliders and police moved in, and RNZ Pacific cites church sources from the area as reporting airstrikes and at least three deaths. The report in the Saturday Paper showed pictures of canisters that it said contained white phosphorous. The chemical burns on contact with oxygen and cannot be extinguished. It will stick to skin and burn to the bone. White phosphorous is always controversial, and international conventions prohibit its use as an incdendiary, but it's legal when used to create smoke screens or to mark targets. A spokesman for Indonesia's military, Muhammed Aidi, told RNZ Pacific that the Australian media may have misidentified smoke grenades used for camouflage as chemical weapons. The Indonesian Foreign Ministry declared that its forces do not possess chemical weapons, and denounced the Saturday Paper report as "fake news." The authors of the report, John Martinkus and Mark Davis, told The Guardian Australia that Indonesia was dissembling. "What is not fake are the pictures of the canisters they fired, the horrific burns they inflicted . . . and the witnesses to the shelling." 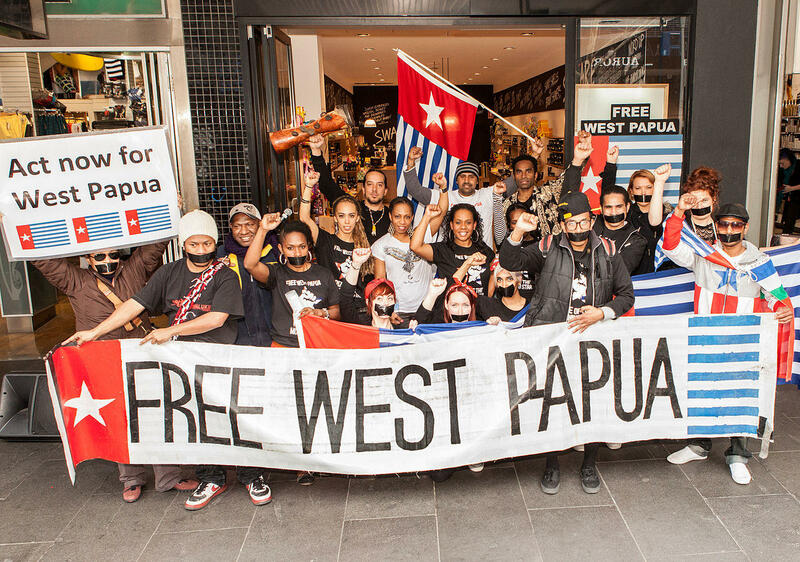 The Free West Papua movement called for an urgent investigation by the United Nations.